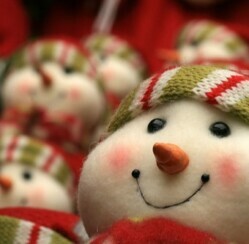 Home » Blog » How do different countries celebrate christmas? The Christmas tree is decorated with hundreds of shimmering candle-lights, poinsettia flowers, and golden bows. A beautiful angel rests on top of the tree, peacefully watching over the gifts below. With Christmas just around the corner, everything is finished except those few last minute things that are sure to come up. With that said, I’ve rewarded myself with a mug of hot tea and a moment of reflection. As my thoughts drift, I begin to think about Christmas in other countries, and how it is celebrated throughout the world. Although it’s true that the Christmas holiday is observed by people in numerous countries all over the world, when it comes to Christmas in other countries, the customs and traditions vary significantly. Argentina: As you walk through the streets of Argentina, you might see homes decorated with lights and festive wreaths made from red, green, gold, and white flowers. Take a step inside and you’ll likely notice a Christmas tree decorated with cotton balls (to represent snowballs) as early as the end of November. 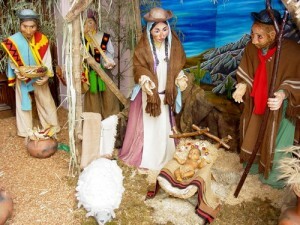 For many people in Argentina, the Christmas holiday begins on December 8th, when the Virgin Mary was first told that she would give birth to the baby Jesus. Since the weather is warm in Argentina during the holiday season, the Christmas meal is often served in the garden. At midnight, the sky is brightly lit with fireworks and “globos”, which are lighted lanterns that float through the sky. Denmark: In Denmark, The Christmas celebration begins with a church service around 4:00pm on Christmas Eve, that is followed by the main meal that is consumed between 6:00pm and 8:00pm. A special type of rice and almond pudding is served for dessert, and the person who finds the whole almond receives a gift. After supper, it is often a custom to dance around the Christmas tree before opening any gifts. Children believe their gifts are brought by “Julemanden” who lives in Greenland, and is very similar to Santa Claus. Egypt: Since only about 15% of Egyptians are Christian, the holiday is not so widely recognized throughout Egypt. Most Christians in Egypt belong to the Coptic Orthodox Church, and they celebrate Advent from November 25th through January 6th, during which they fast with a unique vegan diet. Christmas Day is celebrated January 7th, when children believe Baba Noël will climb through their window to leave gifts. Holland: Christmas time in Holland is an extremely festive time of year. On December 5th, the children of Holland leave their clogs or shoes by the fireplace or on a windowsill in hopes that Sinterklaas will arrive and leave gifts. 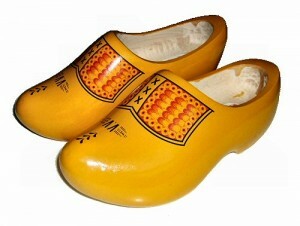 They sing Sinterklaas carols and celebrate with loved ones. They believe that Sinterklaas rides over the rooftops on his majestic horse, and a “Zwarte Piet” sneaks through the chimney or window to place gifts and candy in their shoes. While good children receive gifts, they believe that bad children are placed in a bag and taken to Spain to learn to behave. On the 6th of December, Sinterklaas arrives wearing his red bishop’s robe, and parades through the town riding his white horse. All of the church bells ring out in celebration of his arrival. Do you have unique Christmas customs or traditions? We would love to hear about them!